After a year of campaigning for “Swexit”, the far-right Sweden Democrats have reversed their position on the country’s EU membership. In an op-ed in Aftonbladet, party leader Jimmie Åkesson said that Sweden should remain and shake up the institution from within. “Cooperation is needed to achieve results, and it is through collaboration that opportunities for reforming the EU from the inside are improved,” Åkesson wrote. This position is a sharp turn for the party, who only months ago had called for a referendum on the issue. Åkesson now denies claims that his party adheres to Eurosceptic beliefs. 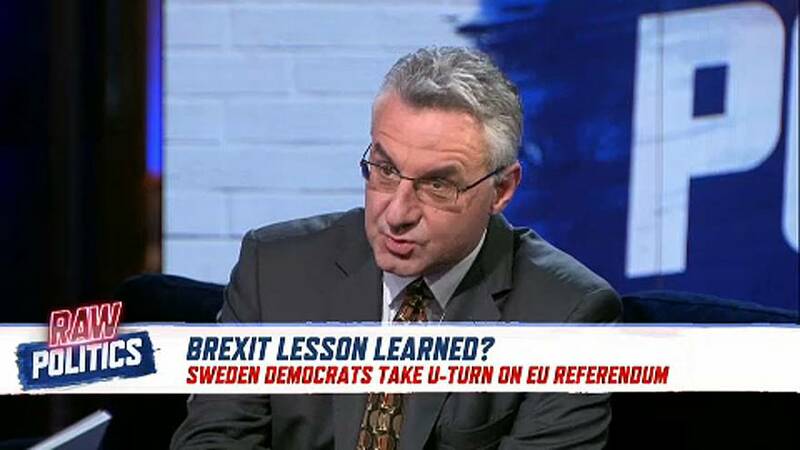 "When other parties tried to portray the Sweden Democrats as a protectionist and closed party, it is a false image only intended to distort and smear the Sweden Democrats. We see the benefits, not only the disadvantages, of today's EU cooperation"
You can watch the panel on Raw Politics discuss this story in the video player, above.